Join us in continuing our summer gala tradition and support our mission to serve as one of the region’s premier sources of culture and art education. One magical night along the river creates lasting opportunities for the art, dialogue, and awakening of the creative spirit that MMoA seeks to inspire. 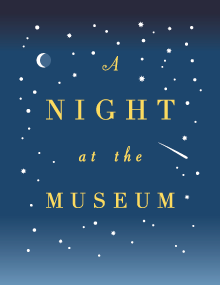 Thank you to Our Lead Sponsors for A Night at the Museum: Irene and Charles Hamm, Cynthia and Robert Martin, Andy Halsey, Leckerling Ladwig & Leamon, Aquarion Water Company, Densmore Oil, Lawrence + Memorial Hospital, Mystic Aquarium, Mystic Seaport, and Karin Forde Whittemore and Peter Kepple. With Special Thanks To: A Thyme To Cook, Connecticut Rental Center, Power Posse Productions, A Gala Affair, and Bronco Wine Company. Selected items scheduled for the Gala auction: a three-night stay at the Stone House in Mystic; tickets for Diana Ross at Foxwoods; golf at Stonington Country Club or the Misquamicut Club; brunch for four and croquet lessons at The Ocean House in Watch Hill; tickets for the Travelers Championship at TPC River Highlands in Cromwell; a week of youth sailing at Mystic Seaport; a two-night stay at the Auger Cottage on Masons Island; private painting and drawing lessons; a “pick up” catered dinner for 9-12 people by Dog Watch Cafe; and, two tickets to see the Broadway show Groundhog Day.